On January 29th, The Rothschild Prayerbook – described as "perhaps the finest illuminated manuscript in private hands" – will be offered for auction by Christie's with an estimate at $12 -$18 million. Made for a member of the imperial court in the Netherlands c. 1505, this hand-painted manuscript, a Book of Hours, joined the fabled collections of the Rothschild family in the 19th century. In 1999, when the Collection of the Barons Nathaniel and Albert von Rothschild was entrusted to Christie's in London, the Rothschild Prayerbook sold for $13,378,558, both a world record for its category and the highest price of all the works in the renowned collection. This prayerbook is one of the highest achievements of Flemish Renaissance painting with 150 pages and miniatures and borders of superlative quality by Gerard Horenbout, Simon Bening and the Master of the Older Prayerbook of Maximilian I probably Alexander Bening, the father of Simon. 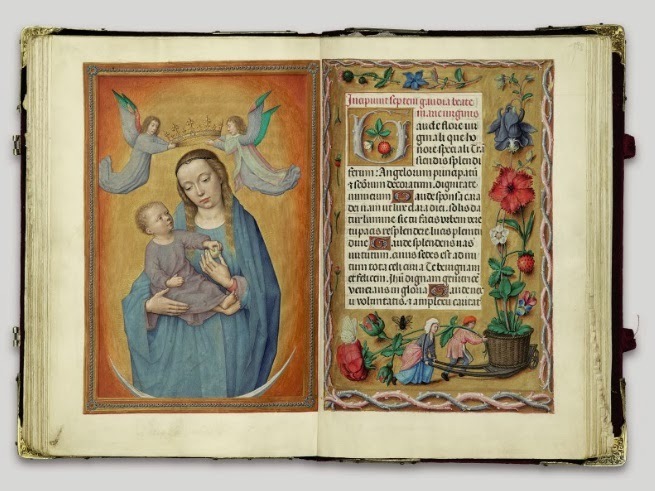 "Every aspect of this Book of Hours – from the quality of the parchment to the wealth and refinement of the decoration – marks the Rothschild Prayerbook as one of the most prestigious and exquisite examples of Flemish manuscript illumination," said Nicholas Hall, international co-chairman of old masters and 19th-century art at Christie's. View the special eCatalogue issued by Christie's for the Prayerbook here.